was co-founded in 1986 by Daniel MacIvor and Michele Jelley to produce their play, “The Right One” for the Rhubarb Festival in 1986. When Jelley left the next year to pursue film and television production, the Company was managed by MacIvor, Daniel Brooks and Sherrie Johnson. 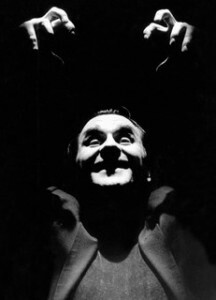 Among the Company’s productions were MacIvor’s Monster, Here Lies Henry and House as well as The Lorca Play, The Soldier Dreams, Insomnia, and In On It (Edinburgh Fringe Festival 2000). The works toured extensively across the country and abroad. Monster, for instance, played Calgary, Dublin, New York, Montreal and Sydney, Australia among other centres. The Company focused on creation, placing no time limits on the process, and searching for the “clear and simple connection between performance and audience.” To this end, its works had an intense emotional impact and a heightened aesthetic sense, with much space given to designers (even as the designs, themselves, were lucid and deceptively simple. The last production was MacIvor’s A Beautiful View in 2006.